Affordability: Replacement blades are more affordable than current multi-blade razors and the thinking is that their two sides extend each unit's lifespan. Better Access: In many cases, the blade's slimmer design enables improved access and removal of hair in tough-to-reach areas like under the nose and neck crevices. 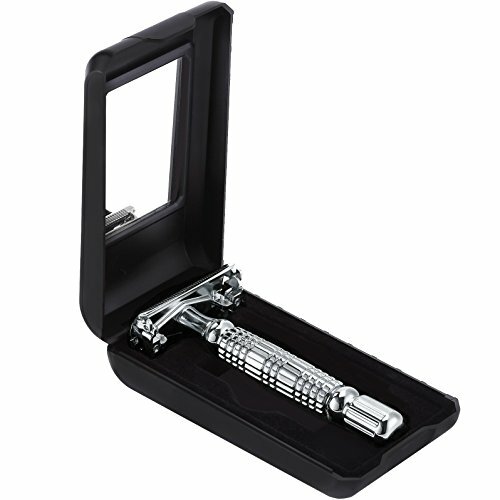 Closeness: Many feel these blades provide a closer and smoother shave than multi-blade counterparts. Of course, there are some drawbacks to such a razor. Chief amongst these concerns is the increased likelihood for cutting oneself, as well as the additional time it takes many non-experts to shave as they adjust to the dual-edged learning curve. No Pressure: These razors are not designed to be bullied into the beard or skin. In fact, doing such will undoubtedly lead to bleeding or irritation. Instead, double edges should gently glide across the face, and even with light pressure, will adeptly remove stubborn stubble. Change The Angle: Double edge razors should move across the beard area at an angle of approximately 30 degrees. Shaving should commence slowly and carefully with short, light strokes in the direction of hair growth. Since hair grows in different directions on every man, make sure to take note of your specific hair direction prior to shaving. That said, obviously no slicing or side-to-side motion.